This entry was posted on Tuesday, 26 February 2013 at 09:29 and is filed under 750 mm, Pleszew, SKPL. You can follow any responses to this entry through the RSS 2.0 feed. You can leave a response, or trackback from your own site. When I first started visiting Poland in the early 1990s it had a treasure trove of steam-operated narrow gauge trundling off into the Polish countryside carrying a mixture of passenger and freight. 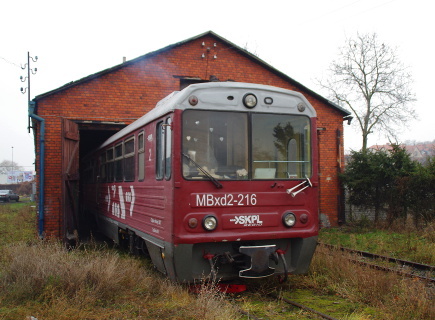 In many ways it reminded me of the narrow gauge lines of Wales but these lines in Poland were then still part of the national network providing a public service. The Great Little Trains of Wales draw in huge numbers of visitors and valuable tourist cash. OK, so maybe many of the Polish lines don’t run through Snowdonia but in some places the attraction of a narrow gauge steam railway would make up for the lack of natural scenery and draw visitors and cash to areas in a way that nothing else would. Depressing.